Today I am excited to share my second ever guest interview on this blog. Remember those questions you all submitted for interviews? Well, today you'll get some answers. Here to talk with us today is my dear friend Tiffany Schlichter. Tiffany was gracious enough to allow me to interview her over the phone several months ago. She is such an encouragment to me, and I was very blessed to be able to hear her perspective on such important topics. I met Tiffany and her family in 2010, when her sister Brittany competed in the National Bible Bee. Right from the start, I knew that Tiffany was a godly woman I could look up to and be encouraged by. Tiffany has written several books. "All Glorious Within," "Noble Girlhood," "Encouragement to the Homeschool Student" & "Higher Ground at Home." 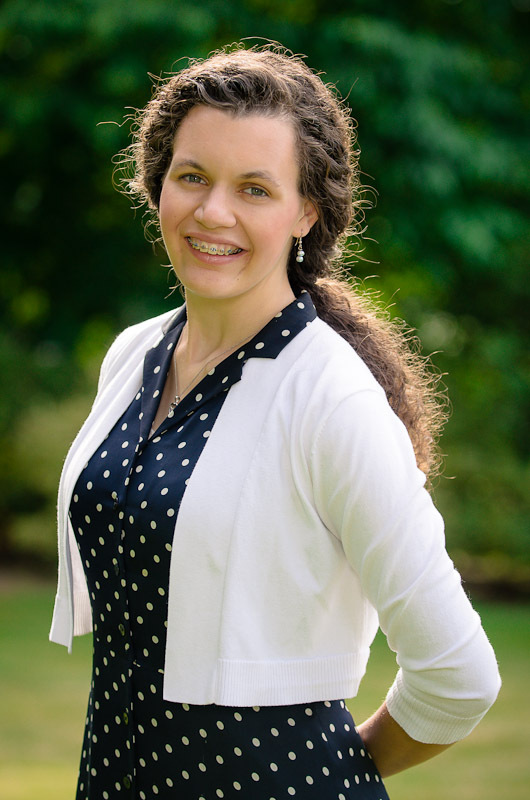 She is also the author of the Virtuous Daughters Magazine - a monthly encouragement for young ladies. I have been very blessed and encouraged by her example of humility, and I hope you are blessed with this interview. Could you tell me about some of your successes in your life? Well, I guess I would say that I've been grateful to the Lord for giving me an opportunity to publish 4 books, and write the Virtuous Daughters Magazine. I know that anything that I have accomplished is only a result of the Lord's grace. I've also enjoyed helping my siblings and my parents be sucessful. What factors led to your success? The Lord has given me such great blessings in my parents, and they have encouraged me to be sucessful in life. I came to my Dad around the age of 10 to ask him about writing a book, and he was so kind to listen, and sweet to encourage me, and help me to see the potential in my life. They were willing to sacrifice for me, and help me see that my goals are possible. 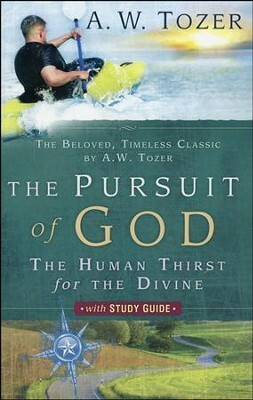 Seeking The Lord, and being willing to want His will for my life, for His Glory. To serve The Lord with my life, and to invest in my family, my parents, and my brothers and sister. Also encouraging younger girls to continue seeking Him and to be faithful. I enjoy passing on the encouragement that He's given me as I endeavor to be a wise steward of what He has given me. I'd really like to be a wife and mother some day, but I know that the most important thing is to make the choice every day to seek his face, and to take the grace that He has given me. My main passion is to encourage other girls to seek Christ wholeheartedly! What would you do differently if you had something to do over? One thing I wish I did, that I'm trying to do more of, is to embrace each day as a blessing from the Lord, and realize that it is the day He has made for me to rejoice and be glad in. I''m trying to remind myself that now is the opportunity to serve the Lord, and embrace each day as an opportunity to glorify The Lord. I've been really encouraged by 1 Thes 5:18 " In everything give thanks, for this is the will of God in Christ Jesus concerning you." Just knowing that right now is the day to serve the Lord and bless him, gives me great joy and confidence. I like how Psalm 92 says we are to embrace each day, and to know that it is a gift. Life is a journey, and we just need to embrace every day as an opprotunity to learn and grow from Christ. He is always refining me to a deeper level, and for that I am very grateful! Definitely the Lord Jesus, and my parents have been used by God to point me to Him, and to encourage me to spend time with Him. I'm so grateful to the Lord for all He has done, and for the personal relationship we can have with Him. 2 Corinthians 3:18 has also been very influential in my life. "But we all, with open face beholding as in a glass the glory of the Lord, are changed into the same image from glory to glory, even as by the Spirit of the Lord." Beholding Christ is the only way that we can be conformed to His image. I'm always reminding myself that I need to behold Christ, and seek to please Him each day. How did you prepare yourself to be an adult woman? Time spent with the Lord in his Word and prayer. Ps119:10 "With my whole heart have I sought thee, O let me not wander from thy commandments." Spending time with the Lord seeking His will, knowing Him, and then following Him when He does give direction. It's also important to embrace the opportunities He brings along, and know that He is faithful even when we fail. We have full forgiveness, and that is such a blessing. One of my friends told me that the Lord is not going to say well done thou good and perfect servant, but thou good and faithful servant. He gives us the grace to walk ahead, and keep coming back to Him over and over again for the strength to keep moving forward. I've really enjoyed the books of Charles Spurgeon and how he sought The Lord with his whole heart. Here's a few of my favorite books. 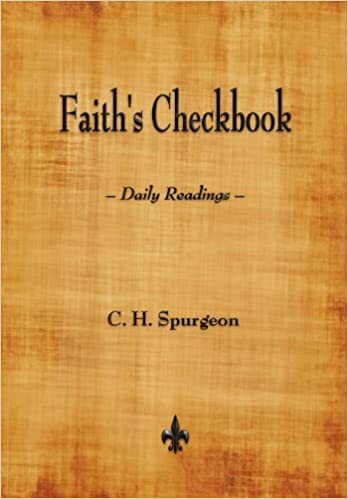 Faith's Checkbook by Charles Spurgeon. 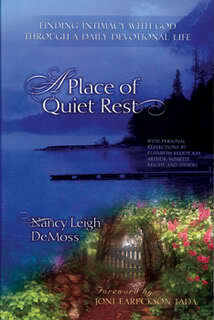 A Place of Quiet Rest - Nancy Leigh DeMoss.- That has really encouraged me. 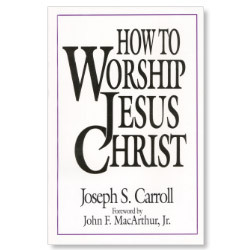 How to Worship Jesus Christ - Joseph Carroll. Those are just a few of my favorites. Journey of the Heart is also one I would highly reccomend. It is a fiction story about a young lady waiting on The Lord, and finding her fulfillment in Christ. 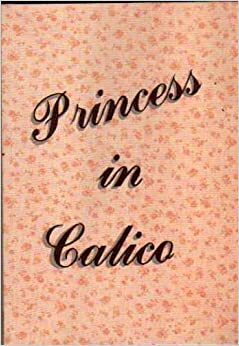 Princess in Calico. Another fiction about a girl seeking God with her whole heart. I'm the firstborn in our family so I tend to love structure and order, so I've had to work on flexibility more than time management. I try to set my alarm for a certain time and get up right away, and then have 3-4 set tasks to do first thing in the morning. Multitasking has also been a big thing I enjoy doing, as it helps me find ways to get more things done at the same time. I've had times when I've struggled with laziness, but normally for me it has been hard to find time to complete all the tasks I'm determined to do. Getting up on time has been a big struggle. I have to make that choice to go to bed on time, and realize that the morning hours are SO important, and such a valuable time to seek the Lord in the times of quiet. I find that when I sleep in my day gets started later, and everything gets behind. The way I focus on overcoming it is to focus on what I need in my relationship with the Lord, and know that morning is the best time to seek Him. 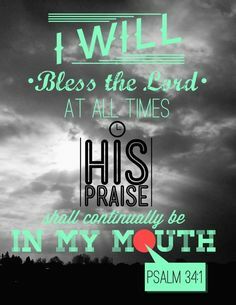 Psalm 34 and 145 because they encourage me to seek the Lord and praise Him. Psalm 30, and 151 have also helped me find full forgiveness with Him. 1 John has been a huge influence in my life in the last year or so, just knowing that God is faithful, is so powerful. I would just encourage you to know that the Lord is SO faithful, and that He is there for us as we seek Him. He is faithful to uphold us as we seek Him. He is able to give us the grace to walk with Him, and lean on Him continually. Focus on Christ! If we focus on ourselves, we will fail, if we focus on others, we will fail, or if we focus on rewards, we will fail, or even standards, we will fail. Heb 12:1-2 is SO good to remind us we have to keep our eyes on Jesus. He is the source of our strength. The key is to keep our eyes ever toward the Lord. He is faithful! It's easy to be distracted, by failures, self, desires, or rewards that we hope for. But I know that I must keep my eyes on the Lord, and I know that when I fail He is faithful to pick me up like He did Peter, and help me to keep my eyes on Him always. I'd like to extend a big thank you to Tiffany for allowing me to interview her, and I'd like to thank you for reading this post, and ask you for your help. I'm curious to know how you were influenced by this interview? 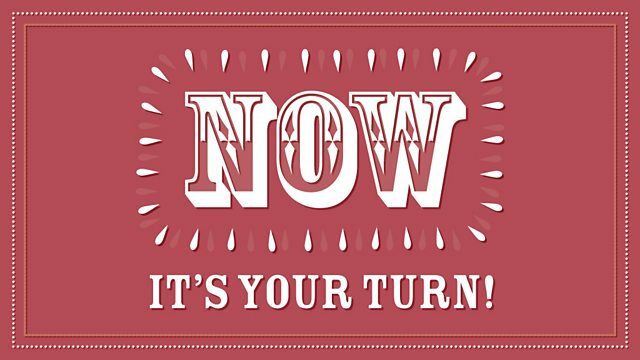 What one thing motivated or encourgaed you? Leave a comment and let me know your thoughts. So encouraging! I love how Tiffany quotes scripture continually. She is so amazing how much she has memorized and reviewed! My favorite part was "Focus on Christ! If we focus on ourselves, we will fail, if we focus on others, we will fail, or if we focus on rewards, we will fail, or even standards, we will fail.Thank you, Elanee for posting this! Thank you so much Elanee for doing this interview and for posting it for all of us young ladies to learn from and be encouraged by! My thanks to Tiffany as well! Her heart and devotion to the Lord, is such a blessing and encouragement to me, and I can definitely see why she has been such a blessing in your life as well, Elanee!!! So glad that God brought you two together at the Bible Bee! Tiffany's advice for young ladies as we move forward in life, was particularly encouraging to me! I love that she reminds and encourages us to keep our focus completely on Christ and Christ alone. It's so true that if we put our focus on anything else, or if we search for fulfillment, purpose, or meaning in anything else, we are bound to fail. Christ is truly our all in all, and we are made to live our lives devoted to Him alone; and in every day striving to live for and serve Him in everything we do and say. I also was encouraged by Psalm 34:1 and Tiffany's comments on it! (It's interesting.. I was JUST reading Psalm 34 in my quite time this morning and then I came on here and was blessed by it once again! I think God is convicting me about this! :-) ) YES, today is the day to praise the Lord and give thanks to Him!! :-) Not tomorrow, or when I feel like it, or when everything is going right.... no matter what, or where, or what is happening in my life, today is the time to give thanks and to praise the Lord for WHO He is, and for all of His blessings!! Thanks again Elanee for another great post! I really admire your heart and devotion to the Lord, and your blog is a great encouragement to me!! Thank you so much for sharing, Tiffany and Elanee! I loved reading this interview! Such an encouragement to me!!! I especially loved the part where Miss Tiffany was encouraging us to embrace each day as from the Lord. Also the part about "looking to others you will fail, looking to rewards you will fail, etc." Thank you!! Good interview! Looking forward to your next post, Elanee!